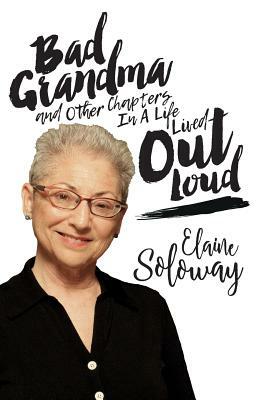 Elaine Soloway has lived the past four decades of her life out loud and in the public eye. At the age of 78, Elaine has four successful and widely-read blogs, has published three books, and most recently has seen aspects of her life immortalized on the Golden Globe and Emmy Award Winning "Transparent," which is produced and written by her daughters, Jill and Faith Soloway. Through a combination of traditional and social media, Elaine shares her life generously with her readers -- exposing both her successes and challenges to public scrutiny. A lifelong Chicagoan, she writes about moving to the West Coast -- and discovering she was happier back in her own hometown. She muses about her desire for companionship, about her first husband's external transformation, and the illnesses that ended her second husband's life far too soon. She tackles the ageism that pervades our society, the stress of caregiving, her passion for city living -- all with her signature warmth and wicked sense of humor. -Lonnie Nasatir Regional Director, Anti-Defamation League Greater Chicago-Upper Midwest Region.